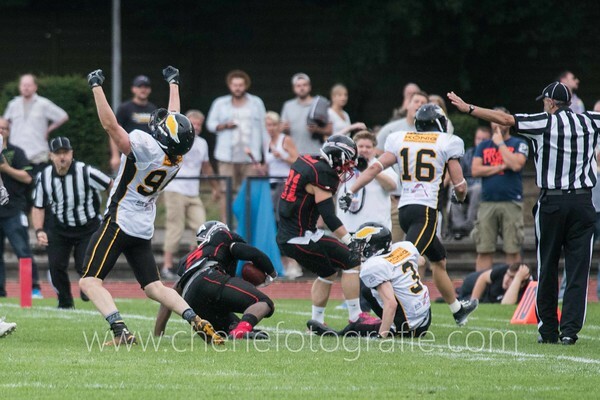 American Football match in GFL 1 between Düsseldorf Panther and Berlin Adler, held on July 30, 2016 at Panther Stadion Benrath in Düsseldorf. All pictures copyright Chérie Fotografie. These watermarked pictures can be downloaded for free as low resolution files for private use on social media only.